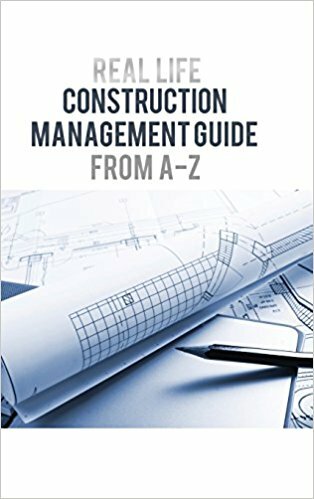 “Real Life: Construction Management Guide from A-Z” is an easy-to-read and insightful guide for construction managers. In this book, the author brings in real-life experiences together with technical and theoretical principles in construction. Inspired to help new and seasoned construction managers and professionals, Jamil Soucar creates a one-of-a-kind guide that will help these individuals improve their practice. He has been in the construction industry since 1983 and by sharing his experiences and insights in construction management, Soucar is confident that his book can influence those who are starting out in this profession. “Real Life: Construction Management Guide from A-Z” aims to help new professionals in the field of construction management to incorporate practical and theoretical concepts in their practice. The book comes with a complete manual that guides construction managers through all the phases of a certain project. This way, professionals will be guided from their project’s inception until its completion. Hoping to reach out to a wider audience, Soucar’s comprehensive guide to construction management will soon take part in the upcoming 2018 Frankfurt International Book Fair. Happening on October 10-14, 2018, “Real Life” will grace the bookshelves of the world’s largest trade fair for books along with thousands of other great titles! Jamil Soucar has passionately worked in the construction industry since 1983. He holds a Bachelor’s degree in Civil Engineering; Certificate in Project Management from UCLA and is licensed as a B-General Contractor. He has a construction management consulting business in Los Angeles, through which he consults to general contractors, owners, and architects, and provides expert witness service to construction attorneys. Jamil has overseen over 550 projects from inception to closeout. He has worked as a superintendent, a project manager for contractors, and a constructions manager consulting to owners. He has worked in civil engineering design and drafting surveys. He also provides expert witness services to Attorneys on Construction litigation cases.